New Ink Efficient Feature is able to produce more number of prints (as long as use original ink) with the print quality is still excellent. 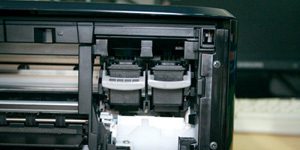 Quickly run out of ink has become an obstacle for owners of multi-function printer or device. Especially for home users who are very sensitive to operating costs. Canon offers a solution to this problem by presenting a Canon PIXMA Ink Efficient E500. These devices promote the efficient use of ink without compromising print quality. Although only rely on two types of ink only, the ability to print photo can be relied upon. Canon’s flagship technology is adopted in order to get the FINE print quality. Even with ChromaLife 100+ technology, the prints using the best photo paper is claimed to last up to 100 years. Aside from being a printer, you can also use it as a scanner and copier. To facilitate the user, the application included Allin-one of every function with a name Canon Solution Menu EX. From here, users can perform various functions such as print images and also provided some documents, and templates are provided to print multiple pictures into an album or calendar. Scan function can also be done from here, other than through the panel. Only the configuration settings remain to be done through the application. While the copy function is handled directly from the panel. 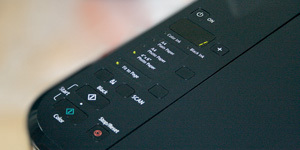 The print quality color documents and text-based look bright and not dark. It’s just less hurried printing time. Unfortunately, when printing multiple pages, there is a pause at each turn of the page. This is seen when used as a photocopy. A bit annoying that the prints have a container size that is less long, so that paper always falls after printed. 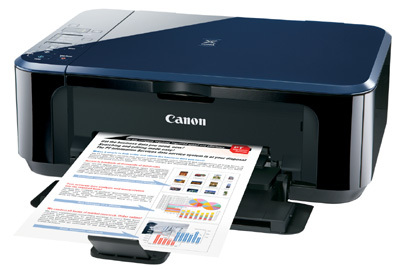 Similar with other recent Canon printing device, this series also supports Full HD Movie Print feature that can print images from a video recording (as a series or montage). Condition, the tape must be derived from Canon digital camera output. The print quality which produced this product is quite good although somewhat slow print time. The price is so affordable. The device is suitable for home users who need a multifunction printing device and the power-saving ink. 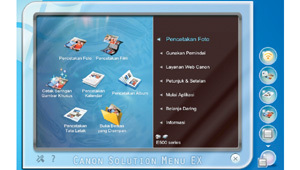 Canon Solution Menu Ex allows users to perform scanning, document printing, calendar making until the simple photo editing. Although only rely on two types of ink, thanks to FINE technology and ChromaLife, the device is capable of producing sharp images. You can directly execute functions directly from here. Only, the configuration settings remain to be done through a PC. Plus: efficient use of ink; the fine print; cancel hurried response; efficient power (only 12 watts) at affordable prices. Minus: slow print time; buffer length less paper; without a card reader.